Turn on the daily news and you will quickly notice we are well adept at pointing out each other’s differences. Whether it’s varying political views, lifestyle choices, or even style preferences, there are a billion things that make each of us unique. While differences should be celebrated, a more amazing feat is when unique individuals come together to work towards a common goal. This is happening everyday at a recreational climbing facility in Somerville. 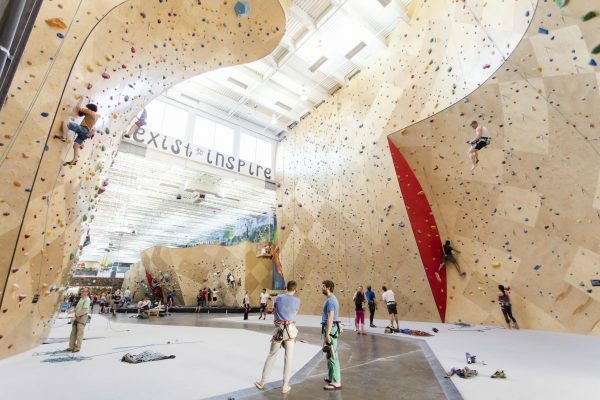 What once was a medical envelope factory in Somerville’s “Innovation Hub” is now Brooklyn Boulders, a 40,000-square-foot arena that evokes inspiration and induces a sense of belonging to all who enter its doors. 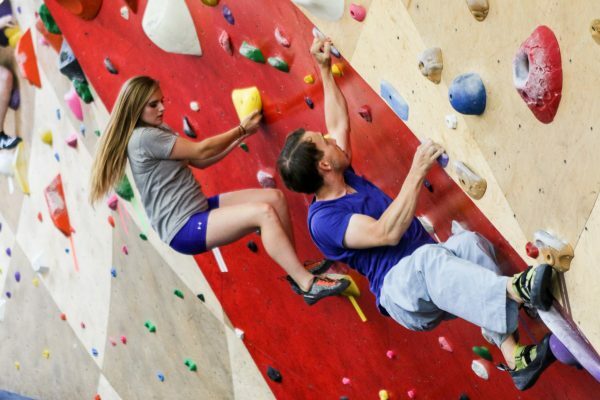 The world-class indoor climbing center and fitness facility focuses on building community through climbing. 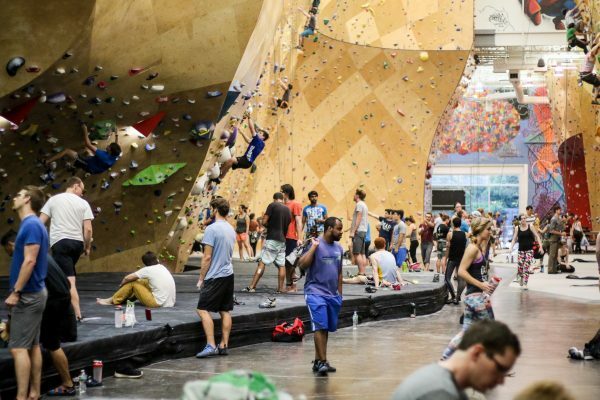 Brooklyn Boulders is a popular gathering spot. 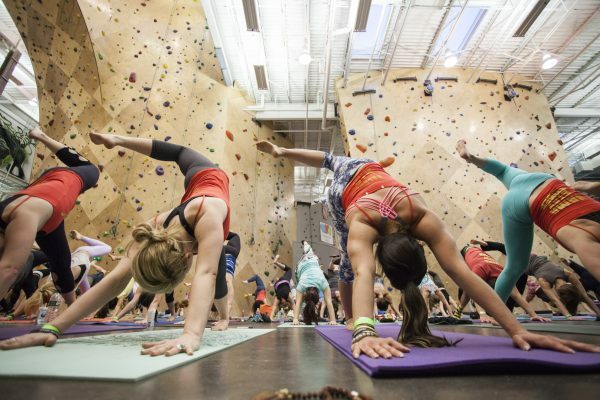 “Our sense of community is what separates Brooklyn Boulders from the pack of regular fitness facilities or rock-climbing facilities,” says Abby Taylor, Marketing Manager. 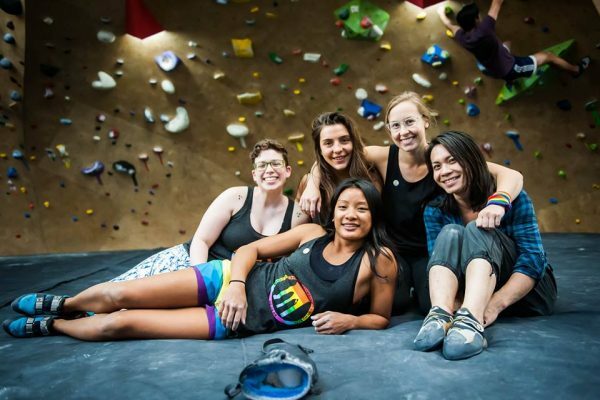 The LGBTQ community meets monthly with smaller weekly group climbing sessions. “It’s a wonderful, welcoming group for anyone who wants to support the LGBTQ community,” Taylor says. “It’s not just for people who identify that way. A women’s group gathers regularly to share life challenges and accomplishments, and then they climb and work out together in a no-intimidation zone where they can push each other to reach their physical potential. No matter who you are, you always fit in at Brooklyn Boulders. 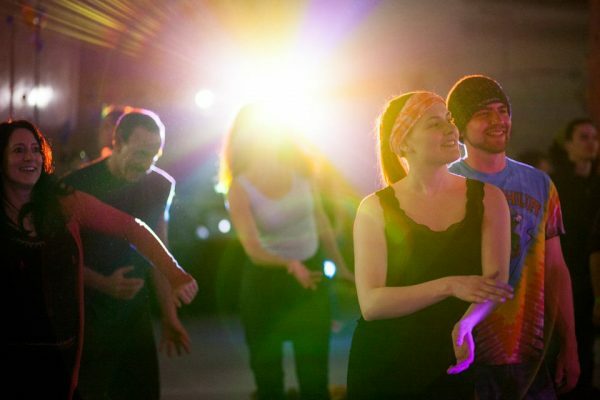 Brooklyn Boulders hosts 10 to 20 events and workshops every month, bringing people together from all walks of life. 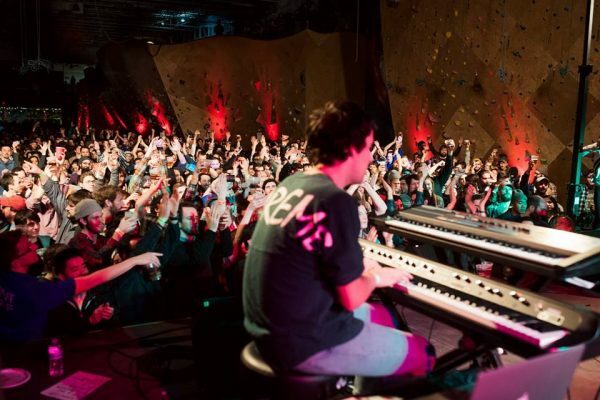 They can participate in everything from meet-ups to “nerd” nights — when people sit around and play Dungeons and Dragons or other board games – to large-scale concerts accommodating 700. There is also a huge youth component, as well. “We do adventure days after school that provides them with some fun, creative, physical activity before their parents come home.” Regardless of the type of event or the age of the participant, Brooklyn Boulders promotes a sense of belonging and an opportunity for people to engage their bodies and minds. Climbing is as much about problem solving as it is about the actual physical feat. That’s why you often see people discussing the logistics of the climb, together trying to talk through the best way to make it to the top – which is not easy. “It’s usually the technique that is the problem,” Taylor says, “but anyone can climb.” A first-time climber may benefit from taking a climbing course to learn to belay (ascend with a harness), climb rope free and fall properly. A staff member climbs with them during orientation and teaches a couple of techniques, such as how to leverage the lower body to push up rather than pull. Music flows throughout the facility, and people are drawn to the visually stunning environment. The smooth, molded climbing walls are unlike the rock-textured façades of other climbing facilities. Skylights bring in natural light, and it almost feels as if you’re inside and outside at the same time. “We really wanted to create a beautiful visual that’s not supposed to mimic the outdoor world,” Taylor says. On any given night, Brooklyn Boulders hosts about 200 climbers – both individual and partner climbers. You won’t see people talking on their phones or judging others because they share a common goal: getting to the top. Climbers choose the graded route (level) they want to climb, from beginner to expert. Day passes are available that allow access to all the fitness facilities (weights, treadmills, yoga, classes, etc. ), as well as climbing, from open to close (7am to 11pm). Guests can also rent climbing harnesses and shoes. For the many who fall in love with the sport and facility, membership options are available. Some even include unlimited personal training from the enthusiastic staff. It used to be that the Brooklyn Boulders staff was made up primarily of rock climbers who just wanted to be part of a fun, dynamic team. The facility is expanding by leaps and bounds, and is looking for enthusiastic people to join the team. “We are looking for people who are super excited and driven to create a sense of belonging for people,” Taylor says. Interestingly, the current staff is a mix of people with fitness backgrounds, as well as those with sales, hospitality and service-industry experience. What ties them together is their enthusiasm and desire to connect with others. As mountaineer and explorer Sir Edmund Hillary said, “It’s not the mountain we conquer but ourselves.” That’s exactly what happens at Brooklyn Boulders.